Improve your buoyancy with Air Down There Scuba! The purpose of the PADI Peak Performance Buoyancy Specialty course is to polish a diver’s buoyancy control beyond the PADI Open Water Diver Certification. The goal of PADI Peak Performance Buoyancy training is to enhance the student diver’s buoyancy control abilities through knowledge development and practical skills practice. 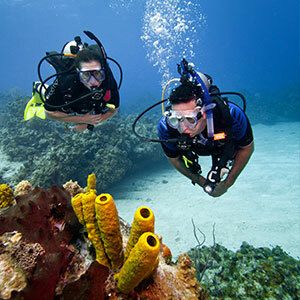 Participants need to furnish their own Scuba mask, adjustable strap fins, booties and snorkel. Upon completion you will earn the PADI Peak Performance Buoyancy certification.